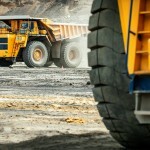 Each year, mines across the country experience multiple stoppages in production due to ‘hot tyre’ events. Tragically these stoppages have led to personal injury and loss of life and are still a major safety risks associated with mine sites around the country – particularly in hot climate. 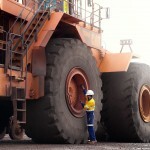 Safe To Work explains how Kal Tire has helped create a secure environment for tyre maintenance at the Roy Hill iron ore operation in the Pilbara. Ben Creagh writes.